Organized by the Hallie Ford Museum of Art in partnership with the Crow’s Shadow Institute of the Arts (CSIA), the exhibition chronicles the history of Crow’s Shadow over the past 25 years as it has emerged as an important printmaking atelier located on the Confederated Tribes of the Umatilla Indian Reservation near Pendleton, Oregon. 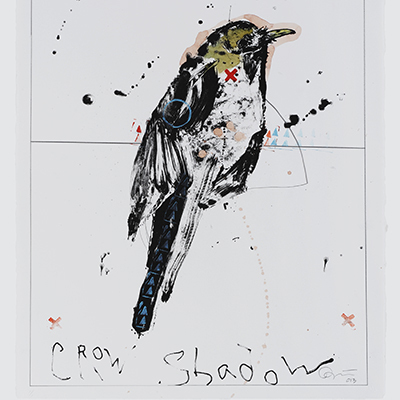 The exhibition features 74 prints drawn from the Crow’s Shadow Print Archive and focuses on themes of landscape, abstraction, portraiture, word and images, and media and process. Included in the exhibition are works by 50 Native and non-Native artists who have worked at CSIA, including Rick Bartow, Pat Boas, Joe Feddersen, Edgar Heap of Birds, James Lavadour, Truman Lowe, Lillian Pitt, Wendy Red Star, Storm Tharp, and Marie Watt, among others. The CSIA was founded by Oregon painter and printmaker James Lavadour (Walla Walla), who envisioned a traditional arts studio focused on printmaking. Art historian Prudence Roberts says of Lavadour, "He wanted to contribute to the Tribes’ new sense of direction and self-sufficiency, and also to give emerging artists opportunities and a sense of community that had eluded him as he taught himself his craft." Today, CSIA is perhaps the only professional printmaking studio located on a reservation community in the United States. Since opening in 1992, it has emerged as one of the most important printmaking studio in the country, bringing together Native and non-Native artists from around the world to make prints under the guidance and direction of master printmaker Frank Janzen. 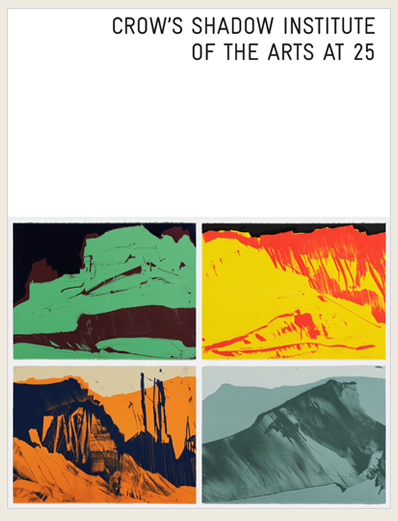 Prints produced at Crow's Shadow can be found in some of the foremost public and private collections in the United States and have been included in exhibitions around the world. In addition to the prints on display, a full-color hard cover book accompanies the exhibition with essays by Prudence Roberts on the history of Crow’s Shadow and heather ahtone and Rebecca Dobkins on the history of indigenous printmaking in North America. The book retails for $34.95. Once the exhibition closes in Salem, it will travel to the Whatcom Museum in Bellingham, Washington during the summer of 2018 and the Jordan Schnitzer Museum of Art at Washington State University in Pullman that fall. Tuesday, September 19, 2017, 4:30–6 p.m.
Friday, September 22, 2017, 6:30 - 8:30 p.m.
Saturday, September 23, 2017, 1 p.m.
Saturday, September 23, 2017, 2:15 p.m.
Join docents at the museum for a guided tour of the exhibition. Tours commence at 12:30 p.m. in the Maribeth Collins Lobby at the museum. Saturday, October 7, 2017, Noon - 4 p.m.
Find inspiration in the museum’s current exhibition “Crow's Shadow Institute of the Arts at 25" and then join us for print-making activities (with a real printing press!) in the Maribeth Collins Lobby. 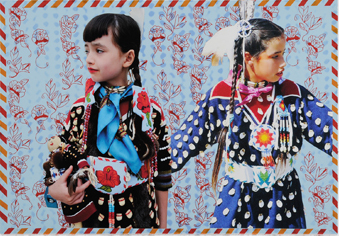 At 1 p.m. a dance performance with the Chemawa Indian School Dancers will be held in the Atrium Gallery at the Hallie Ford Museum of Art. Thursday, October 19, 2017 at 7:30 p.m.
Wednesday, November 15, 2017, 5-7 p.m.
Wednesday, November 15, 2017 at 7:30 p.m.
Financial support for the exhibition and book has been provided by a major grant from the Ford Family Foundation. Additional financial support was provided by a grant from the James F. and Marion L. Miller Foundation; by funds from an endowment gift from the Confederated Tribes of Grand Ronde, through their Spirit Mountain Community Fund; and by general operating support grants from the City of Salem's Transient Occupancy Tax funds and the Oregon Arts Commission.